You get to play Santa for real and deliver gifts or stinkers depending on who is naughty and who is nice. Santas Rooftop Run is the new endless runner that has you jumping across the roofs, delivering jolly presents, and dropping smelly surprises into chimneys along the way. With simple controls you just tap to jump and drop your gifts or stinkers. When the chimney is marked “Nice,” you deliver a sweet gift to the good kid. But, when the chimney is marked “Naughty,” you drop a stinker to that little bugger instead. Along your rooftops you will see cookies and milk that you can collect to increase your score. And, you know how Santa enjoys cookies and milk! Keep your eye on the gift meter because your score increases for correct deliveries and decreases for mistakes. 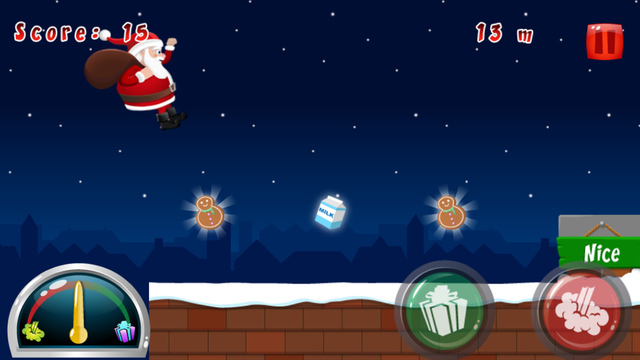 Santas Rooftop Run is a lighthearted, upbeat game with festive music and colorful graphics. You have to time your jumps pretty well so that you hop over the chimney while making your delivery, because if you run into a chimney, the game is over. For something cheery and fun this holiday, check it out. 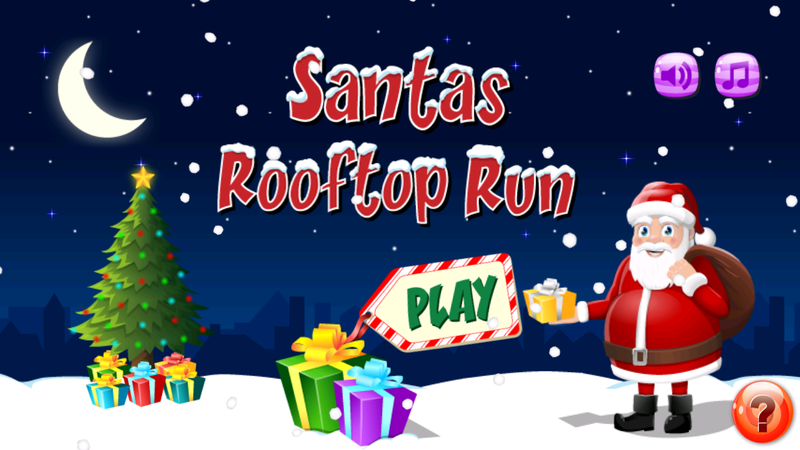 Santas Rooftop Run is designed for iPhone and iPad. It is available for free on the App Store and is ad-supported. 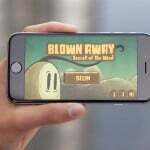 For more new games, take a look at Can you survive the beautiful world of Badland 2? 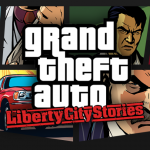 or Hit the streets in Grand Theft Auto: Liberty City Stories.